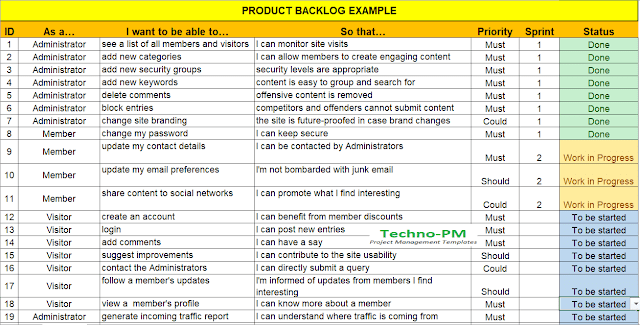 What is an Agile Product Backlog? 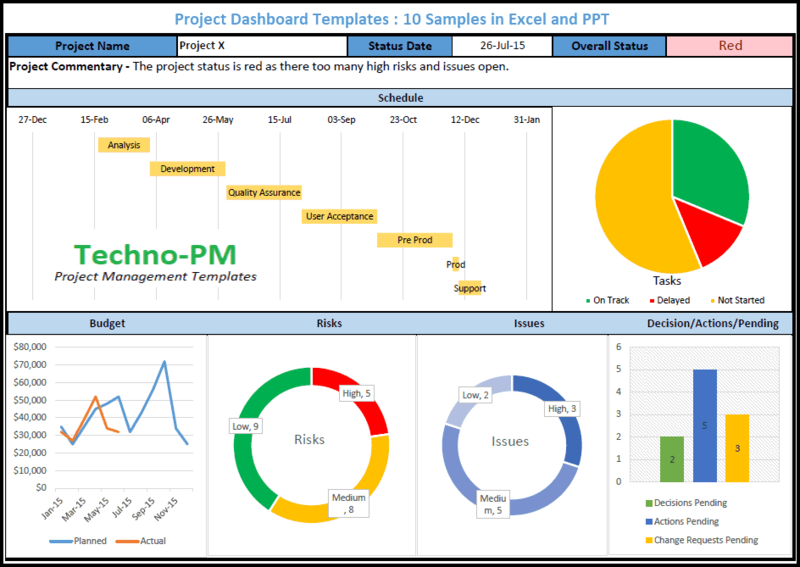 Product backlog templates are standardized repositories for tracking PBIs through prioritization and inclusion in sprints, usually retained in standard Excel format. In Agile methodology, the product owner gathers required tasks or requirements as Product Backlog Items (PBIs), also referred to as “stories.” By retaining an ever-changing but all-inclusive list in a central repository, the prioritization, and visibility of PBIs facilitates planning and allows for pulling product backlog items into Sprints for development and implementation. Product backlog information is continuously being updated with new items and status information of previous items. This varies considerably from a sprint backlog, which is static in nature once PBIs have been designated as included in the sprint. Product owners and scrum masters can benefit greatly from standardization and effective use of the product backlog template. In an Agile approach - including Scrum - the Product Backlog can be considered the backbone of project delivery, given that, simply put, it represents an ordered list of all the things (features, requirements, bugs) that need to be done in the project. Entries in the Product Backlog add value: they do not exist as mere reminders but instead are perceived as valuable for the user journey. Entries in the Product Backlog are sorted by their priority: they are not randomly organized but are instead prioritized by the Product Owner. Entries in the Product Backlog are estimated: they are not just a call to action but are actually the primary source for additional knowledge about a certain task, such as its estimated duration for completion. The Product Backlog specifies what the product of the project is about, that is, its features and requirements. Yet, it is not your traditional requirements specifications document either, since it is not built as a narrative but as a list of atomized items. The Backlog doesn’t follow any specific format and can be produced in as an Excel spreadsheet, document, or simply sticky notes on a wall. In a nutshell, the Product Backlog is the ultimate list to go to when wanting to know more about a certain requirement, such as their priority or status. How to Build and Prioritize a Product Backlog? The best way to build a Product Backlog is by starting with the 2-R approach: (1) roadmap and (2) requirements, which form the foundation for the Product Backlog. The Roadmap, also called vision, represents what the product aims to achieve for its customer. The requirements are an expression of the needs and want of the customer. Both are combined into the Product Backlog, with displays the roadmap by breaking it down into what is called epics which, in turn, are composed of requirements and user stories, that is, a description of a functionality from the perspective of the user, such as “As a frequent traveler, I would like to get my flight details added to my Outlook calendar, so I could easily plan ahead”. The Product Backlog is a living document: a Product Backlog is never completed but it is refined (Product Backlog Grooming) by the Product Owner over time. The Product Backlog is owned, prioritized, and maintained by the Product Owner, who starts by listing all the requirements he can think of at the beginning of the project. However, as mentioned, the Product Backlog is a living document and additional requirements can be added as the team progresses into the next iteration of work. The composition of the Product Backlog varies but, as a minimum, it should contain a unique identifier for each Item, the item name, their priority, and status. Once drafted, the Product Owner should then prioritize each of the items in the Product Backlog based on their value to the user experience. Once the items are prioritized, the Product Owner takes the Product Backlog to the Sprint Planning Meeting, where the backlog is presented and where the team determines which items will be completed in the upcoming sprint. At the end of each sprint – and in preparation for the next Sprint Planning Meeting – it’s also usual to do the Product Backlog Grooming. The Backlog Grooming can be a continuous activity or you can set up a meeting just for it (who doesn’t love meetings?) and its purpose is to refine and make improvements to the Product Backlog. Grooming, one may say! The grooming of the Backlog is a responsibility of the Product Owner where, in conjunction with some or all of the team, the Product Owner reviews the items in the Backlog to ensure that all items are still relevant, their prioritization is still right, and that the items first in the backlog (hence, with higher priority) are ready for delivery. At the end of the day, the Grooming of the Product Backlog should allow for a well-groomed backlog: neat, clean, and clear to all. Story points contribute to establishing a reasonable number of tasks that may be accomplished within the scope of any sprint execution. 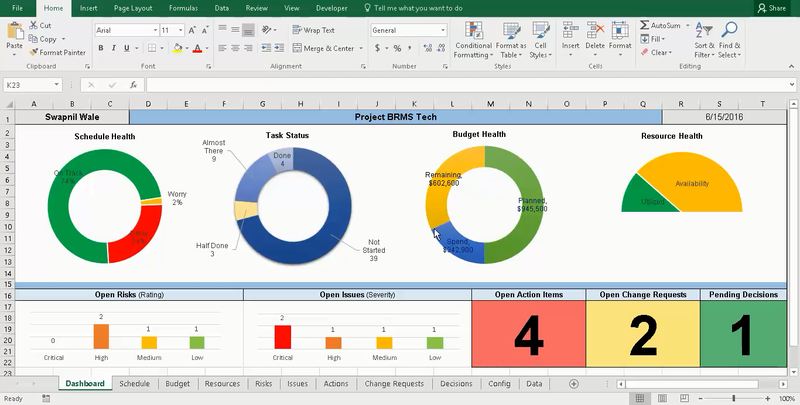 Product owners can utilize this information to make accurate decisions on PBIs to be included in sprints, based on priority and level of resource requirements. PBIs may be submitted by any stakeholder and added to the product backlog, but the product owner makes the decisions on product backlog priorities. 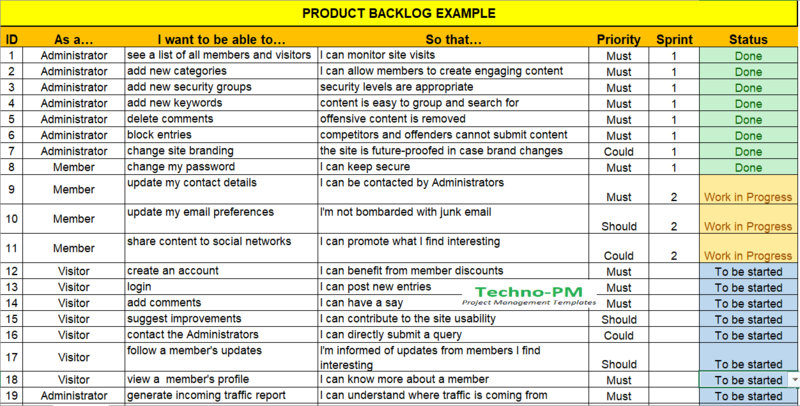 What does a Product Backlog contain? Task name/description – This is a brief identifying description of the task to be performed by the backlog item. Story – This is a Y/N indicator to identify if there is a clear story behind the item, stating the item’s purpose and benefits. Dev Ready – Is the item ready for pulling into a sprint action? There are varying views of what “ready” means, but the values of Y/N tell the product owner that there is sufficient information for the PBI to be pulled forward into a sprint. Priority – the product owner establishes the priority of each PBI. This is based on a combination of business value, the cost to implement (or cost savings), and story points. Values for priority are Low, Medium, and High. Story Points – Story points are unique to Agile estimating techniques, taking the place of traditional estimating in increments of hours or weeks. Story points are assigned as factors of difficulty for development either due to complexity or unknown factors required to complete the task. Scrum teams come to a consensus on the story points to be assigned to a PBI without a true relationship to estimates of hours. This value presents a realistic gauge of complexity as related to other tasks on the product backlog. Values for story points are generally set as numerical values such as 1,2,4,8,16, indicating the comparisons of very small through very large efforts required. Sprint – Once an item has been combined into a sprint exercise this entry tracks the sprint associated with the task. This column may include values of Y/N, or if sprint numbers are utilized may contain the actual sprint project designation. Release number and/or date – this can be utilized to record when the sprint results were actually implemented. Acceptance criteria – Where the product owner or designated stakeholders have specific requirements that must be met before acceptance, this column can be utilized to provide such details. 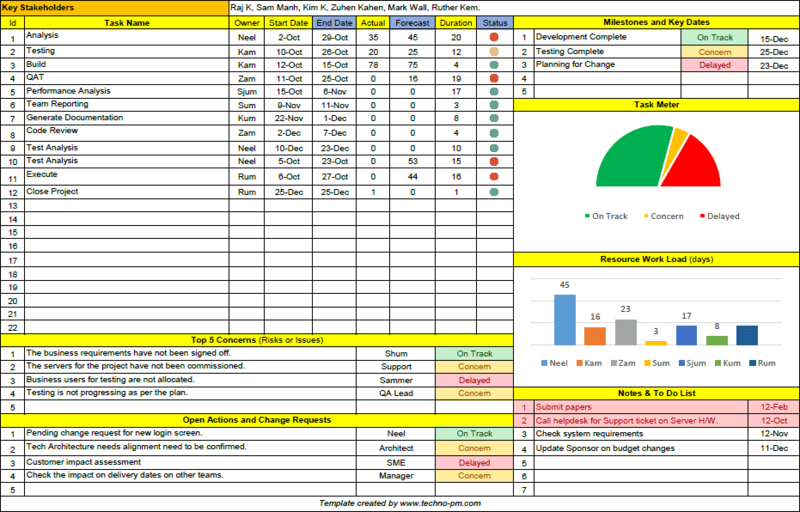 PBIs form a key part of all the sprint activities including but not limited to Sprint Review Meeting, Sprint Capacity Planning and Agile Reporting.